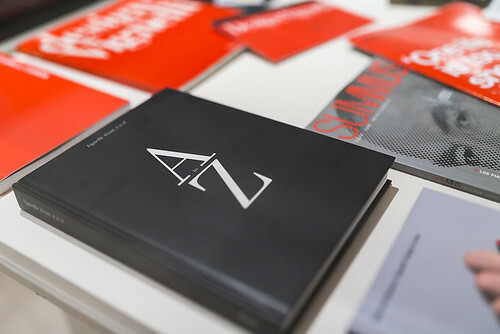 The exhibition includes original material from Cifuentes’s and Waterhouse’s personal archives – including brand guidelines, original drafts and supporting materials, catalogues, magazines, invitations and stationery – as well as furniture designed for and lent by Knoll, Heller and Poltrona Frau. 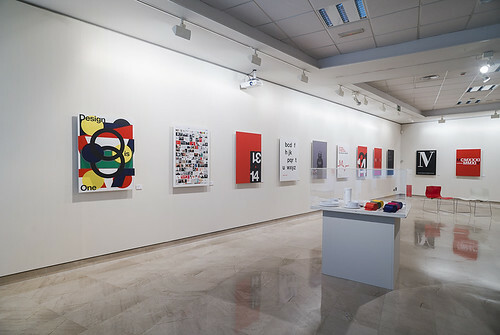 This material is displayed alongside tribute posters designed by more than 30 selected designers and design studios, including Alberto Corazón, Atlas, Javier Mariscal, Mucho and Toko (among many other Basque, Spanish and international participants). 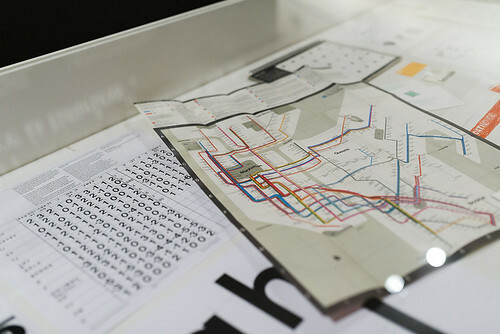 Installation photograph at ‘Timeless: Massimo Vignelli’. Top: Alain Villastrigo and Ernesto Arnáez (of Husmee Studio Graphique!) in front of the entrance display. 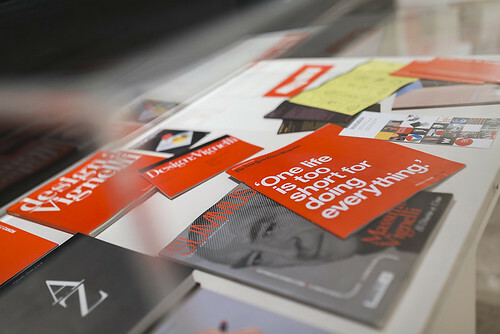 Work from the Vignelli Associates’ archive. 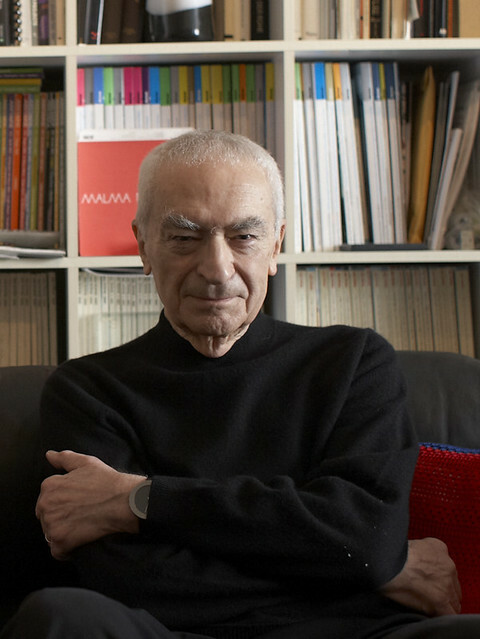 Husmee’s Villastrigo says that the impetus behind the exhibition and the forthcoming issue of Husmee magazine looks to ‘Massimo Vignelli, his work and his legacy in the world of design’. 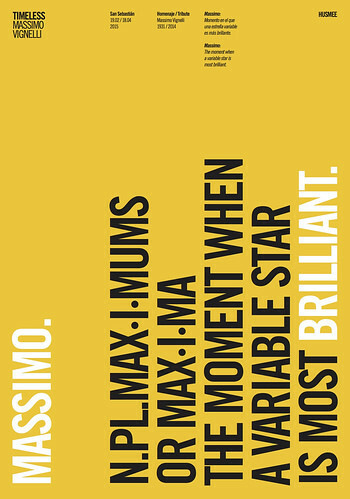 Tribute poster by Mash Creative. 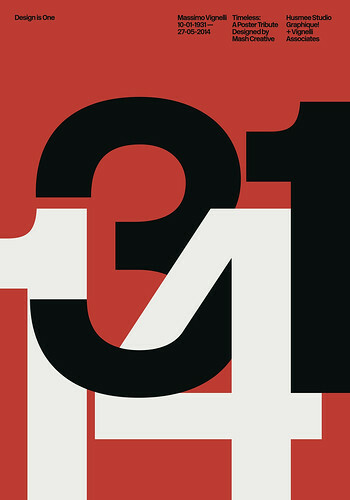 Tribute poster by Javier Mariscal. 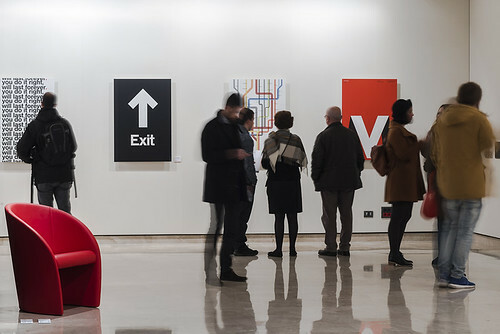 Beatriz Cifuentes and Yoshiki Waterhouse (Waterhouse Cifuentes Design), who were associates of Massimo Vignelli for many years until his death, will be speaking at the Hotel Astoria in San Sebastián 17 April 2015. 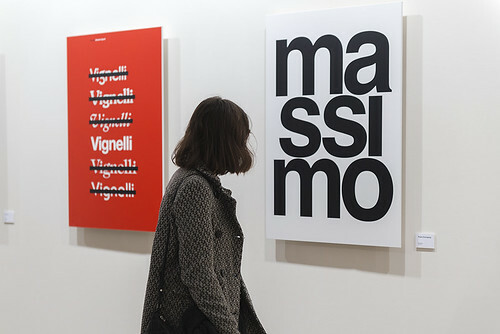 ‘Timeless: Massimo Vignelli’ continues until 18 April 2015 at Cultural Centre Okendo K. E., Avenida de Navarra 7, San Sebastián, Basque Autonomous Community, Spain. 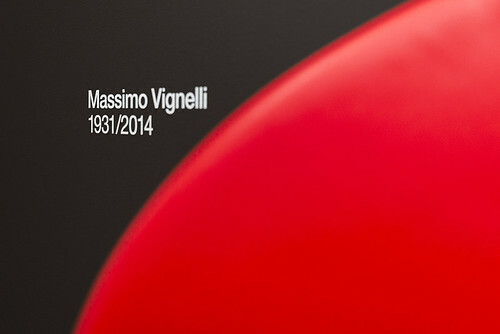 See ‘Reputations: Massimo Vignelli’ in Eye 83. 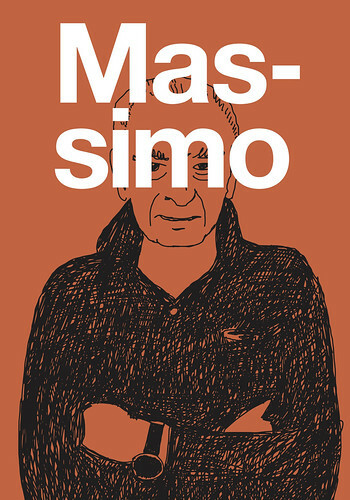 Portrait of Massimo Vignelli by Maria Spann. 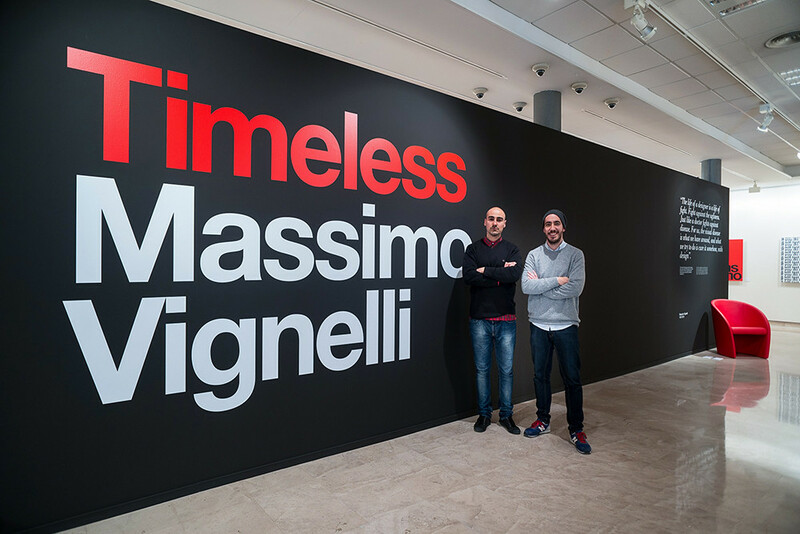 Installation photographs from ‘Timeless: Massimo Vignelli’ which continues until 18 April 2015 at C. C. Okendo, San Sebastián, Spain.